Previous PostSecond month of Planning – By hook or by crook!Next PostAutism – Just Roll With It! Thx 🙂 – major break in Ethiopia – engine stripped. Again in Ethiopia – interrupter and carbs – Tanzania we lost a structural bolt causing problems with 2wd – changed coil in Zambia as suspected to be failing – carb problem incl diaphragm puncture & petrol tank relined & piston plus valve damage in Zimbabwe. Listing like that makes me realise how persistent the problems have been! lets put things in perspective……you’re NOT crossing oceans here! So you break down , OK! ….. #1 make a cup of tea and take a break ! these are actually some of the best times to meet people etc. it’s very unlikely youre going to die…..or even get injured! …… to the contrary you’ll most likely experience nice people get a great story to tell AND learn something! not that anyone actually WANTS to break down but it could happen ……. SO WHAT! i believe some equally important thinngs to consider are , 1- plan youre route / do not put yourself in extreme locations that would be almost impossible to recover from in the event of innjury or breakdown ….. middle of NOWHERE jungles , deserts etc. . if so leave a “ride plann” with someonne for that remote ride…. try not to travel at night . be sure to travel with plenty of drinking water & emergency rations. fyi-the bmw’s are awsome machines and i do love them but my 04 GS left me stranded with only 8k miles on the meter with NO WAY to jerry rig it. yes , they are NOT perfect and fairly complex…..
but hey! 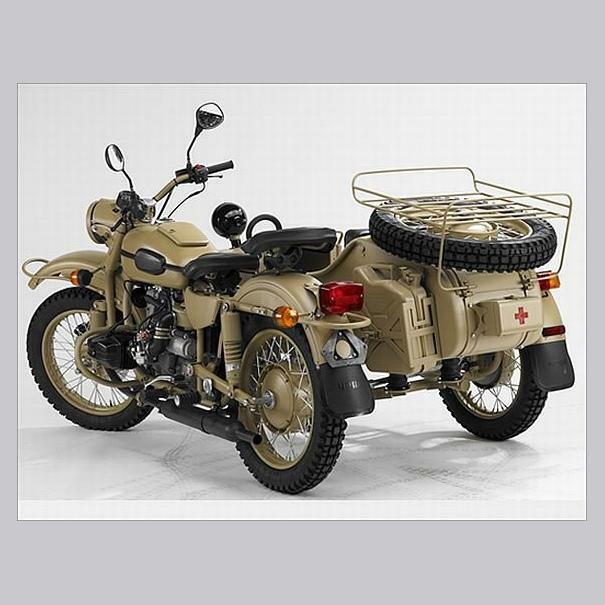 The ural is what it is …… Tons of Fun! basically a utility vehicle. keep the rpm’s and the speed down <55 mph and check nuts and bolts and change oils frequently and you should be fine! Well, this is a pleasant article and I actually at one time considered a Ural. I hope you enjoy your experience and that which ever way you go with it you hav good luck. However, let’s get a few facts straight. The Ural fuel is injection made by EletroJet (a Michigan company not Ducati unless something has drastically changed) which the replaces carburetors. Improvements also include triple disc brakes instead of just the one disc up front. Brembo makes the front and sidecar caliper, while Hayes makes the rear because it includes a parking brake. An adjustable hydraulic steering damper replaces the old friction-style unit probably in use since the 1941 debut of this Ural’s basic design, when the bike was first copied from German wartime BMWs. Yes, the Ural is a more simple and basic design which is easier for the average shade tree mechanic to bust his knuckles on, but make no mistake, if you go in that direction, you will be working on it. While there is a good community of Ural enthusiasts to debate the best method of guiding you along vs the internet you will need to make sure you can get parts in the middle of where ever you plan to go vs. the dependability of the BMW and its service department. Which is less impacted by current political trends. Plus don’t dismiss your ability to learn or be over intimidated by servicing the BMW. Though much if it’s technology does surpass some of that in the Apollo missions, it’s not strictly rocket science and there’s a good support community as well. Also, the two wheel drive is a benefit with the Ural which the BMW isn’t going to have unless you’re having one of the systems from Mobec installed which doesn’t seem to come across in you’re article, with the possible exception of a mention by a reader of stresses to the final drive which is vague and unlikely. That drive system depending on the plans you have for travel might make or break the deal for you and really should be part of your considerations unless you make the fatal error of wasting your money on a Ural without the 2wd, in which case what would be the point of it all anyway? Good luck you’ll need it. Please make sure you have the proper experience and/or training under your belt before undertaking an epic journey you may not be prepared for. The bike choice is only a part of the important decisions and preparation. Failing to prepare in this case is preparing to fail. Thx for your input – I am certain that I am making the right decision though. Interesting that you still suggest bmw dispite the fact there will be no service support from them if a side car is put on it…. Personally I would rather wait a month for the right piece to arrive than be stuck not knowing which (very expensive) piece to get because internet forum can’t agree on what the problem is. .. I think we are having miscommunication about manufacturers service and support availability and network vs. warranty which would have certain limitations to manufacturer defect vs damage, wear and tear, regardless of the model you choose. The point as to BMW access is moot since you’ve decided to go with Ural. However, please know that if your concerns lie with warranty repairs even with the Ural within the two year unlimited mileage they give you it may very well be that what problems you come across may not be covered by the warranty, and improvised repairs (often associated with the simplicity of the Urals design) that may become necessary along the way to keep you mobile may conceivably void the warranty anyway. 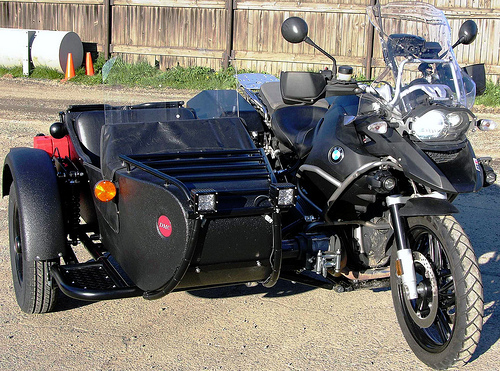 Since there is some demand for sidecar rigs, maybe BMW should engineer one with full factory warranty. I might even buy one. But like you, in this case I’d choose the Ural. Have a great ride! Not bad for a noob….whoops! Your not a noob anymore, happy trails! If you’ve not done so already, you may want to join the online discussion forum at sovietsteeds.com. There’s lots of knowledgeable folks who ride and wrench on their URAL sidecar rigs and always willing to help out the new owners. I ride a 2014 Fuel-Injected model and it’s quite the upgrade from my 1996 URAL which started me down this three-wheeled path. Better quality, performance, but still not something you just “gas and go”…..
You’ve made the right choice with the Ural, yes they have quirks and can have problems but most are easily and cheaply fixed. The BMW whilst a great bike have their own problems and are definitely not easy and cheap to fix. Adding a sidecar to a BMW also adds stress to a final drive that it’s not designed to take which can cause major problems later down the track. I hope you enjoy your ural. They aren’t fast or flashy & don’t have lots of bells and whistles but they do have character, are lots of fun to ride and they draw attention wherever they go.